Hundreds of jobs have been created in Barnsley over the last financial year, thanks to specialist business support. The borough has also seen a record level of inward investment. Enterprising Barnsley has helped create more than 1,300 new jobs, attracted 39 new companies to the borough and seen nearly a million square feet of extra floor space taken up by businesses since April 2016. Enterprising Barnsley, the economic development arm of Barnsley Council, helps businesses across the borough develop and expand; generating economic growth and creating jobs. The boom has also been felt by the Digital Media Centre, an award winning creative and digital hub on County Way that is part of the Enterprising Barnsley service, which now has its highest ever occupancy rate at 96 per cent. Martin Beasley, Enterprising Barnsley group leader, said: “These are challenging times in the economy generally, but we are showing that with support businesses can survive and even thrive. Businesses have taken up 881,000 sq ft more floor space since last April and new companies moving in to the borough have brought in £32m of private sector investment. And in an effort to attract even more, Enterprising Barnsley is working with developers to promote commercial sites particularly near junctions 36 and 37 of the M1 motorway. Among the companies moving in to the borough is MAC Clinical Research, the UK’s largest neuroscience research company, which is creating 12 new jobs at premises at Wentworth Office Park in Tankersley. 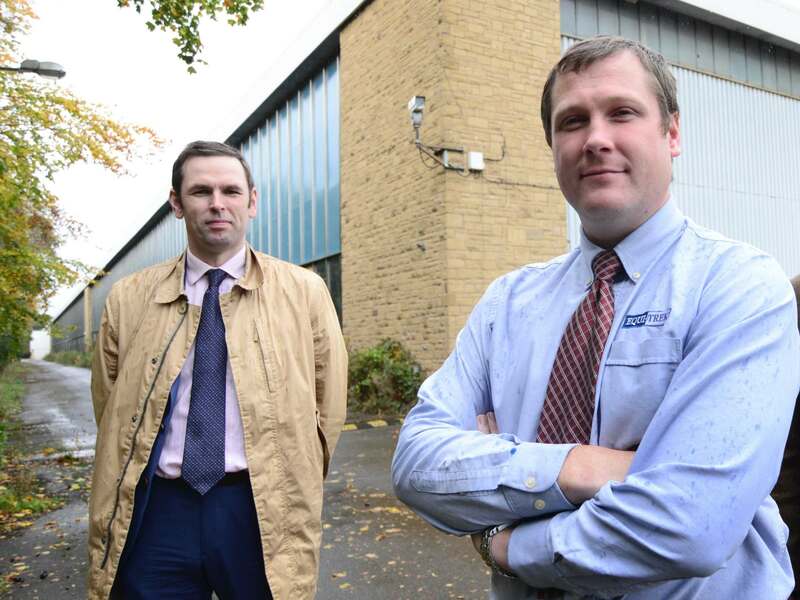 Others include Equi-Trek, a luxury horsebox manufacturer with royal clients, which has moved in to the former Fox Wire building near Stocksbridge, with plans for up to 30 new jobs. Universal Components is another company that has moved in to the borough, with support from Enterprising Barnsley’s inward investment team, which helped the company access finance and identify the most appropriate site. The new 165,000 sq ft premises at Ashroyd Business Park, just off junction 36 of the M1, has become the company’s advanced logistics facility, encompassing their head office, call centre and distribution warehouse. There are plans to create 80 new jobs. Among the local firms that have benefited from Enterprising Barnsley support is Road Tankers Northern. The company, based at Platts Common Industrial Estate in Hoyland, designs, builds, services and inspects road tankers for carrying petroleum and LPG gas. Current plans involve taking on another 15 employees to add to the 150 staff. Martin Beasley said: “We can help companies whether they are large or small, start-up or established. We want to help businesses already here, but we also want to show businesses elsewhere that Barnsley has a lot to offer. Enterprising Barnsley’s award-winning team provides support to businesses with growth potential in anything from HR and finance to marketing and exporting. Enterprising Barnsley also funds and delivers a range of business events and workshops. Attached photograph shows Martin Beasley and Tom Janion at the new Equi-Trek site in Barnsley. Enterprising Barnsley, part of Barnsley Council, assists companies with relocation; business development; access to finance; business start-up and much more. Its team can help businesses access specialist coaching. For further information please contact Martin Beasley on 01226 787535 or visit www.enterprisingbarnsley.co.uk.